Danny Ellis is a survivor, strong and resilient. A proclaimed singer-songwriter, he is proud of the way in which he handled his difficult past: poverty in the 1950s Dublin slums and the brutality of the notorious Artane Industrial School. He felt as though he had safely disposed of it all, until one night, while writing a powerful song that would launch his commendable album, 800 Voices (A searing testament.” Irish Times), Danny’s past crept back to haunt him. Confronted by forgotten memories of betrayal and abandonment, he was stunned to discover that his eight-year-old self was still trapped in a world he thought he had left behind. Although unnerved by his experience, Danny begins an arduous journey that leads him back to the streets of Dublin, to the tenement slums, and, ultimately, to the malice and innocent mischief of the Artane playground. What he discovers with each twist and turn of his odyssey will forever change his life. Included within are insightful photos of his early childhood, the ghostly halls of his orphanage, and his eager beginnings with music. Elegantly written, this is a brutally honest, often harrowing depiction of a young boy’s struggle to survive orphanage life, and stands as an inspiring testament to the healing power of music and love. Danny Ellis, born in 1947 in Dublin, Ireland, is a singer-songwriter and author. 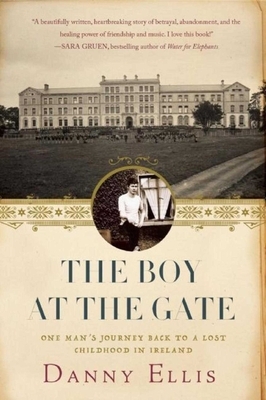 He was sent to the Artane Industrial School in 1955 to 1963. As a professional trombonist, Ellis played with Irish showbands such as The Airchords, The Jim Farley Band, The Nevada Showband, Dickie Rock’s Miami Showband, and Stage 2. In 2009, he released the album 800 Voices based on his childhood in Dublin and Artane. He and his wife, Liz, currently live in the mountains of Asheville, North Carolina.